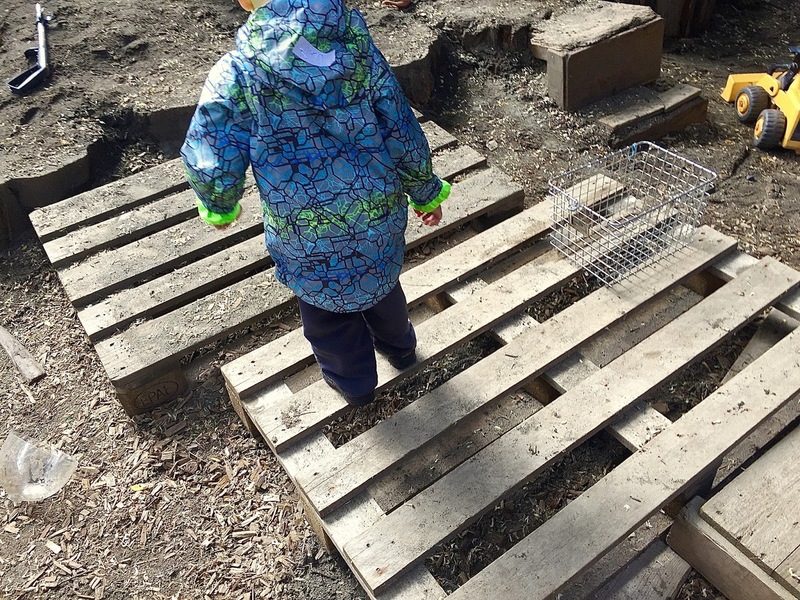 It must have been more than a decade ago that the first shipping pallet showed up on our playground and it was controversial. Looking back, it seems silly, but there were parents who thought it was a hazard. Fortunately, most families were on board with the plan (the pallet was the beginning of larger changes) if only because up until then our mostly asphalt playground left a lot to be desired and anything, even a shipping pallet, seemed like an upgrade. 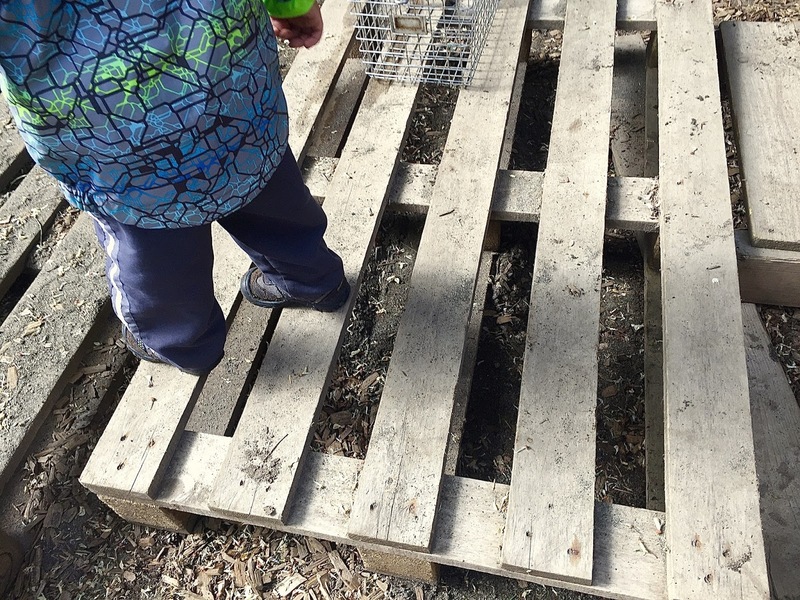 On the first day of playing with that first pallet, a child, while attempting to walk across it, got her foot stuck between the slats. She didn't fall, she didn't twist her ankle, but she did cry which lead to those who were convinced of the pallet's dangerous tendencies to demand that we either cover the gaps or get rid of it. 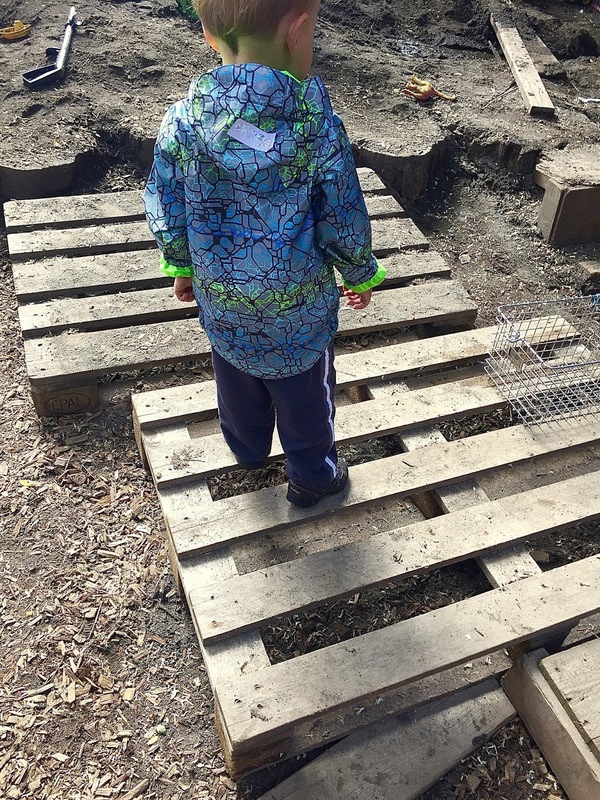 We covered the gaps, making it into a sort of moveable platform. Today, at any given moment there are a half dozen or so shipping pallets on the playground and if anyone considers them a hazard they aren't saying anything. I was thinking of that first pallet last week while watching a two-year-old stepping his way from slat to slat across a pair of pallets. At one point he stepped between two of them and found himself stuck. He didn't fall, he didn't twist his ankle, he was just stuck. After a couple attempts to free himself he looked at me and said, "Stuck." I nodded, "Your foot is stuck." He made another effort to escape, then held his arms out to me, saying again, "Stuck." I knelt down near his foot and said, "Yep, you're stuck. It looks like you'll have to turn your foot sideways to get it out." He turned his foot this way and that and was finally free. 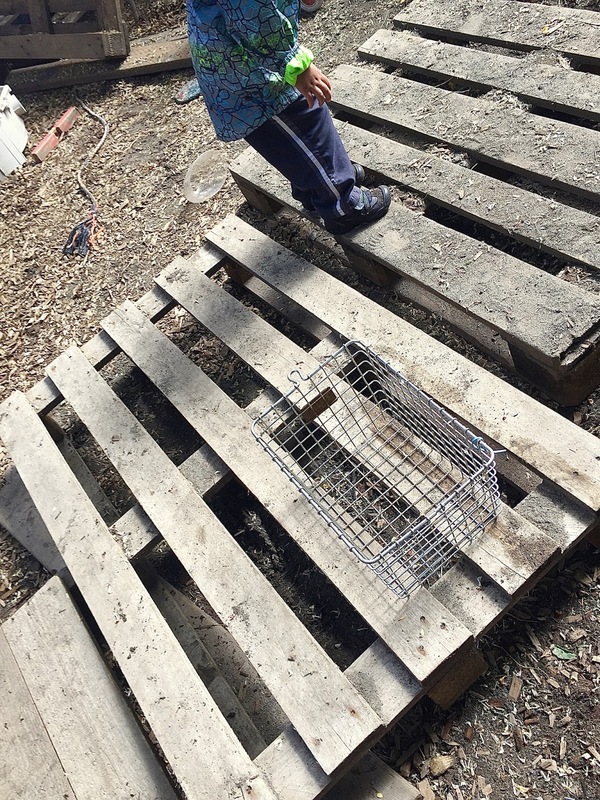 He then spent the next ten minutes balancing on those slats, occasionally getting his foot "stuck," then turning it sideways to escape. He did it over and over again until we were both convinced that should he ever get stuck again, he'd know just what to do.